Ontworpen voor analoge en digitale servo's van 4,8V tot 7V. Dit product is bij uitstek geschikt om een servo mee te testen of aan te sturen. 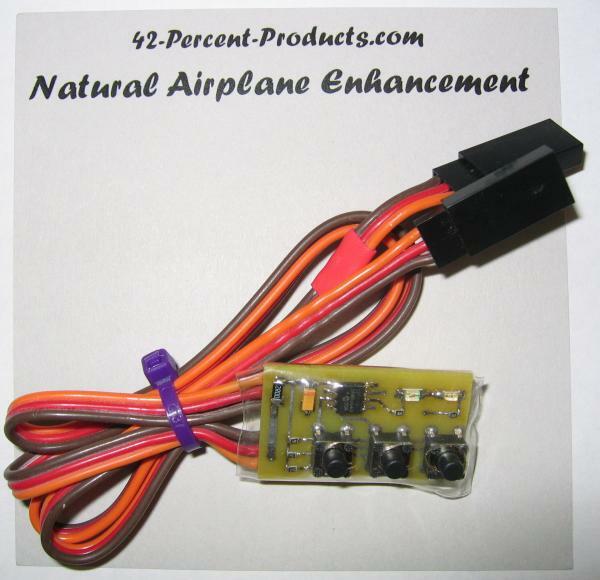 Plug Color banded servo lead into servo or servos using a Y if needed. You must select a Mode ea time you power up the Digi Servo. Press the “Center” button Auto sweep begins after a 3 second power up cycle and servos move to center. Sweep and hold any position. Select RIGHT Button to began, Both LEDS power up during a 3 second delay while servos center. On release the led goes back out and servo stays in position. While RIGHT is held servo sweeps RIGHT & RED LED is on. Return to center any time by pressing CENTER Both LEDS Light. Select LEFT Button to began, Both LEDS power up during a 3 second delay while servos center. Over driving servos like the small ones HS-55/56 and others can be damaged very easy by over driving their position - sweep very slow until you know how far you can sweep in ea direction. Servos vary by model and Brand we tested many brands and models in the design phase. operation and other brands and modes vary. There are some very fast and powerful servos out there. Be careful when sweeping and testing. Know where you need to STOP to not over run your control surfaces!